Lee Davy drags Tristan Wade away from the rail of Event #29: $2,500 No-Limit Hold’em (NLHE) to talk about his relationship with Sam Cohen, the variance in the game and his role on the WPT Deepstacks Tour. Tristan Wade is one of poker’s gentleman. I first stumbled across his him in Cannes, back in 2011, when he was taking down his first World Series of Poker (WSOP) bracelet in the €3,200 No-Limit Hold’em (NLHE) Shootout. 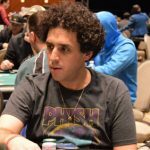 On the rail, that day, was a young lady called Sam Cohen, and as I catch up with Wade, he is repaying the favor as Cohen is sitting on one of the final two tables of Event #29: $2,500 NLHE. “I started coaching Sam, a few years ago, and we are also great friends. Back in 2011, I told her that I really wanted to play in the $10,000 Six-Handed Championship, at the WSOP, but didn’t think I would play in it. She told me that if she won $10,000 by the time the event came around, she would put me into the tournament. “She ended up coming 35th in a $1k event for around $15k – and was also doing well in the cash games – so true to her word she wanted to put me into the $10k event, but I didn’t feel comfortable with it. She also wanted to give me a really good free roll percentage, which is unheard of in the poker world, where you will get 20% if you are lucky. “I don’t want to reveal what she offered me but it was good. I ended up giving her $10,000 in coaching in return for the buy-in, as it was the only way for me to feel like it was morally and ethically right for me to take that money. That relationship would turn out to be critical for both Wade and Cohen. Wade would go into Cannes, and pick up his bracelet, and Cohen would final table the 2013 Aussie Millions where she finished eighth. Tristan Wade is not just a poker player. 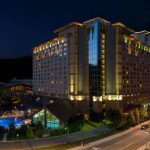 He is also deeply involved in the business side of the game with an important role in the Deepstacks Poker Tour organization. The outfit that recently inked a deal to tie up with the World Poker Tour (WPT). 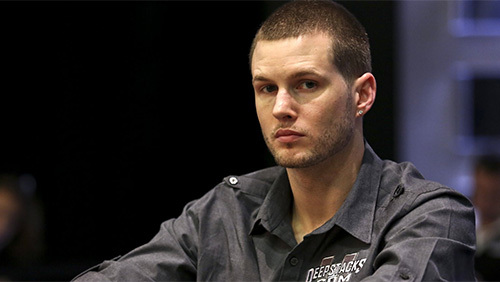 “I am the Director of Poker Operations, as well as a poker pro, for Deepstacks. 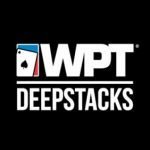 A couple of months ago we did a merger with the WPT, so now we are officially known as WPTDeepstacks, which will differentiate us from the Deepstack Extravaganza and all the other Deepstack titled events. The mid-stakes market has become such a vital organ in the body of poker since Black Friday. 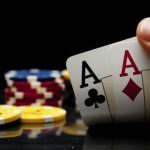 “Over the last few years, especially after Black Friday, the poker economy went on a bit of a downslide. There isn’t enough money around and poker players are better. I don’t want to say it’s dried up…but it has in some sense. 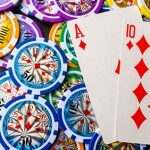 The recreational poker players have a real understanding of the game these days, and they have a real shot at winning these sorts of events. They aren’t clueless and they aren’t drawing dead. It’s a lot harder to be a pro now, and that’s why it’s better to have smaller buy –ins. There is a little less variance because you can put in more volume. “I have been playing poker for 11 years, and if you come into the game now, you can pick up all the information we have created in the past 11–years or so. I didn’t have anymore than a few friends to talk poker with, now there is so much information out there you can pick up a lot quicker than we could. “I didn’t start hot. It took me eight and a half years to capture my first big score. That’s the great thing about poker. Everyone can do it, but you can also be an unbelievable poker player and not get the break. Now go and flap those wings Tristan. Go and flap those wings.